03/22/2019 03/27/2019 - by Liam Weisman - 2 Comments. The Dell Inspiron i5577-7359BLK-PUS gaming laptop is an above average, budget laptop with some excellent storage, a powerful processor and super-fast yet expandable RAM. The inbuilt GeForce GTX 1050 Graphics card makes it one of the top-ranked gaming laptops purposely made for entry-level gamers with a sweet tooth for bargains. It averages an impressive 1080p resolution for most games and is flexible enough to be used for a variety of resource-intensive applications such as computer-aided design (CAD), graphical tools, videography, and multimedia software. Further, the Dell Inspiron i5577-7359BLK-PUS gaming laptop delivers excellently when it comes to office productivity effortlessly. 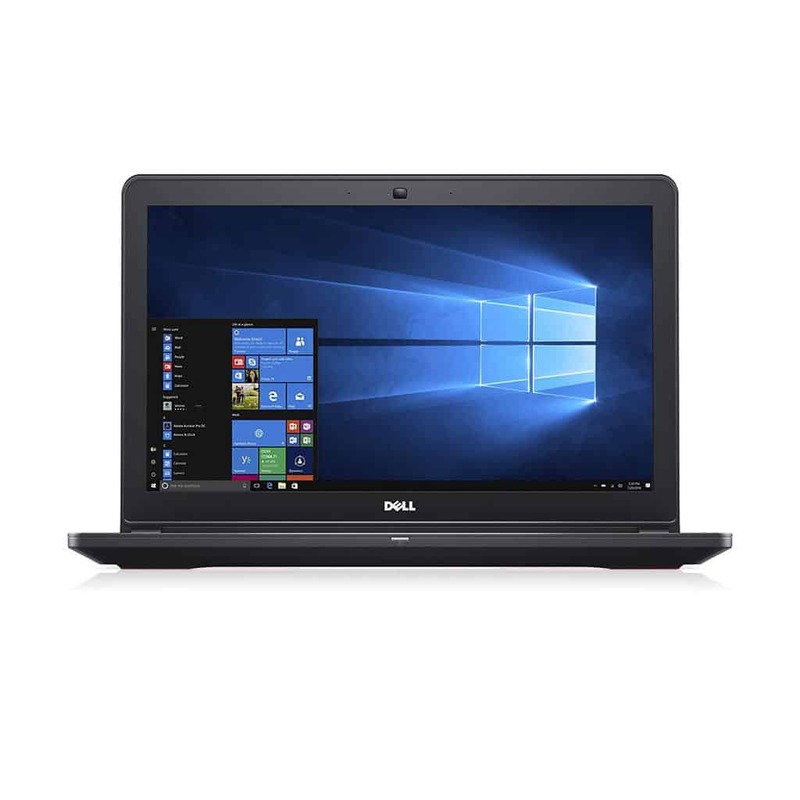 Its attractive outer appearance, polished design, and decent battery makes the Dell Inspiron i5577-7359BLK-PUS an irresistible option for buyers focusing on performance, stability, and a product which supports not just your routine computing tasks but also the occasional complex job. The upgradeable 8GB RAM DDR4 is a bare minimum for faster performances. The graphics card doesn’t support Virtual Reality- important for higher level gaming. Dell has this persistent ability to surprise. While I thought we had seen it all, Dell came up with their own budget gaming laptop. The Dell Inspiron i5577-5335BLK-PUS we reviewed a while ago is one such example and our unit on review is not so different from it. Not only does the Dell Inspiron i5577-7359BLK-PUS have a superior processor in the 7th Generation Intel Core i7-7700HQ Quad Core, it also features the increasingly reputable GeForce Graphics Card from- the GTX 1050 which has steadily built a reputation as one of the best Graphics Card for people conscious about their display – like your typical gamer, but who abhors overpaying. If you are like enjoying your computer game on the go minus lag issues, or you are onto something that will guarantee performance without costing you an arm and a leg, you’ll find the Dell Inspiron i5577-7359BLK-PUS gaming laptop quite impressive. Dell has managed to expertly merge some eye-catching external appearances with a strong hardware infrastructure without compromising its most unique selling point- the price. The body is made up of an all-black plastic with some very soft finishing offering an easy feel for your hands. As has been the case with recent dell gaming laptops, the smart Dell logo stands out with its red accent. Looks can be deceiving and it is the case with Dell Inspiron i5577-7359BLK-PUS. By its looks, it’s hard for anyone to realize that you are handling a budget priced product. As an entry-level gamer, I was of course impressed by the ability of the GeForce GTX 1050 Graphics card. Even after hearing some nice little things about its performance, I had to experience it myself to believe. Well, it just exceeded my expectations. Averaging around 1080p for all the modern AAA 2016 released games- I tested it with Final Fantasy XV just to be sure, the GTX 1050 is a force to reckon with. It definitely renders even a more awesome experience with earlier games like StarCraft 2 and Conquer 4. One quality is that the card is a full HD and has a dedicated RAM of 4GB. The screen size at 15.6” is rated as excellent for gaming. It doesn’t support touch and has an optimum resolution of 1920X1080 – perfect for entry-level gamers. Other features of the display are not as thrilling as I would have loved. I’m talking about brightness, color rendering and screen contrast. Don’t get me wrong, the viewing experience is great, but not as awe-inspiring just like if it was an IPS panel display. Viewing angles are quite acute owing to the TN panel used, an inherent problem with the technology. IPS panels beat TN Panels hands down in this regard – but at cost. They are slightly pricier than TN displays thus finding their way to premium machines. However, when seated directly in front of the display, one can barely notice this shortfall. Considering the pricing, I would still bet on this machine despite some of the highlighted display challenges. And again, you can connect to an external display via the HDMI if you still want that top-of-the-hill display performance. The Dell Inspiron i5577-7359BLK-PUS gaming laptop has three 3.0 USB ports, sufficient to connect your most basic devices like a USB speaker. You can always buy a USB hub if in need of more USB ports. A critical oversight is a failure by dell to incorporate the popular USB Type C port. USB type C is compatible with most of the newest technologies, for instance, Thunderbolt 3 hence it rapid emergence. The HDMI port caters for your external display needs on your projector or a giant monitor. The laptop is fitted with an Intel WiFi adapter card to support your 802..11A/C wireless networking requirements. The card picks even long-range wireless signals meaning you can roam around with your laptop without losing connectivity. The Dell Inspiron i5577-7359BLK-PUS gaming laptop also has a standard RJ-45 Ethernet port if indeed you prefer physical connections. Also, you can connect extra audio devices via the audio port but you have to do without a Display port- considered important by some. This is a very powerful laptop thanks to the 2.8 GHz quad-core Intel Core i7-7700HQ processor. This processor is an all-powerful beast which can run very heavy applications as if it’s a solitaire game in addition to supporting intensive games without much stress. Its sibling, the Dell Inspiron i5577-5335BLK-PUS comes with a Core i5-7300HQ processor, thus costing a few dollars less than our review machine. The system has one fan attached to the processor. It auto-invokes whenever the system is overloaded and it’s not easy to detect it’s as it’s built to run silently. The 8GB RAM and the GeForce GTX 1050 Graphics card nicely complements this CPU completely eliminating any bottlenecks and have the system running like a well-oiled German machine. What’s more? You can expand your RAM to an amazing 32GB in addition to having the processor turbo up to an impressive 3.8 GHz on demand. The multi-drive feature of this machine is unique in that you get to enjoy the best of both worlds. The 1TB SATA hard drive combined with the 128GB SDD disk assures efficiency in storage and high-speed loading of applications and the operating system. Even more impressive to note, you can upgrade both storages to your dream capacity! Users have also hailed the backlit keyboard for its soft keys and ability to toggle the red backlit color on or off – which we concur completely. The Integrated Widescreen HD (720p) Webcam allows you excellent recording and viewing options. The touchpad, on the other hand, is responsive and for the most part, okay. These combined features will give you performance wizardly and finesse that is hard to get in machines of similar level be it in gaming, multitasking, graphics, videography or just in an office environment. Like its peers in Inspiron 5500 series, the laptop is fitted with a 6-cell 74Whr battery with a battery life slightly more than 5 hours. Battery life may reduce in gaming but that is still pretty impressive for this machine. In fact, a number of users recommend this machine for its battery – a fact we’re in agreement with. For charging, it uses a 100-240V charger – meaning it can be used in a majority of the countries and is easily replaceable. While important, Dell understands that speakers are not the most critical item for gaming. Hence, the laptop is fitted with moderate power stereo speakers which don’t pretend to outdo majority. They are nonetheless strong enough to produce quality sound to accompany your games. If looking for better quality audio, best use an external speaker via the audio port. The Dell Inspiron i5577-7359BLK-PUS does not come with a DVD drive, so if you use DVDs, procure a portable DVD drive or a DVD burner. I think this matches a trend that has emerged in the market where disks have continuously become less popular. However, you still have your USB ports and a memory card reader if you choose to ignore DVDs. Here are other configurations that may interest you. Dell Inspiron i5577-7359BLK-PUS gaming laptop is a perfect budget gaming laptop. If you love power, Ferrari-inspired speeds, efficiency and a battery whose performance is well defined this machine is easily the best there is in the market for its price. As with everything in life, perfection is scarce – and I believe Dell would have best gone with an IPS display rather than a TN display, and should also have added a USB Type C port. However, for a budget laptop, we can’t complain much as these were some of the trade-offs to make it affordable. That notwithstanding, the machine is extremely well designed with all the essential ports, a powerful graphics processing unit, a work-horse like a processor and standard audio performance. 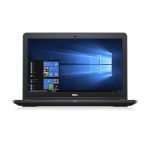 Go for the Dell Inspiron i5577-7359BLK-PUS gaming laptop if you are looking for something that can deliver in all gaming environments at a price you won’t find with many other machines.